Writing a book is only the first step in becoming a published author. In these days of easy, instant and free self-publishing, it should be a simple matter to get your book into the hands of readers, especially when publishing an eBook, right? But there may be more complexities to the process than initially meet the eye. 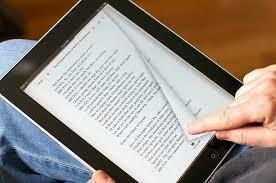 For instance, there are several different eBook formats, such as .mobi and .epub. Which format is required depends on where you are uploading your book. Hmm. What’s an aspiring author to do? If you need to convert your book file from one format to another, look no further than Calibre, the wonderful e-book management system created by Kovid Goyal. Not only is Calibre free, and not only does it do a splendid job of organizing your eBooks, it will also convert files from one format into another! The reason I’m excited about this is because I’m relatively challenged when it comes to technical computer stuff. I was tasked with getting my hubby’s book, Impossible Beyond This Point, uploaded to Kobo, which requires .epub, .doc, .docx, .mobi, or .odt. I tried a .doc and .docx but it didn’t work. And I don’t even know what an .odt is! Well, I had the .htm file my BIL gave me to upload to Kindle so I did a little Googling and found super-clear instructions at WikiHow on doing the conversion using Calibre, a program I already use to manage my hundreds of eBooks – I just had no idea what all it could do. A few minutes and keystrokes later, the file conversion was done and uploaded to Kobo. Now Go Publish Your eBook! So if you’ve been thinking about self-publishing an eBook, now is the time! Polish up your manuscript and then easily convert it to the proper format with Calibre so that you can offer it on a variety of platforms. Calibre will convert to 17 different formats (most of which I’ve never heard of – have you?) so you should be able to turn your work into just about anything you need it to be! And when you have some free time, check out these great free eBooks! Back then, i think for every writer, writing is relatively easy. then comes writing the whole book plus the publishing and marketing part which is a challenge. Thanks to some of the helpful apps and programs publishing comes in an easier way. The only threat with publishing online is, it can easily get pirated. Like in my country, everyone in a net cafe knows how to operate a torrent, literally everyone at home knows the basics of direct downloading from websites. This is a huge threat when it comes to online publishing. Either you can make your work available for popular sites such as amazon, there isn’t a big risk for piracy online. But it doesn’t hurt to try it though.